This recently introduced peach appears to be strongly resistant to leaf curl disease. From a chance seedling found by a Miss Pride in woods in Washington State, near Seattle. She noticed that it was peach leaf curl resistant and decided to propagate her own tree. When she moved she decided to take the tree with her but just before the move a large bear dug the tree up and totally wrecked it! Left with a pile of twigs she managed to revive and propagate a further tree and move it to a bear-free environment. Trees are self-fertile with pretty pink flowers and bear large, deliciously juicy fruits from early August. Pollination group 4. Grown on Montclaire rootstock which is highly productive with medium vigour. It also makes trees less susceptible to frost damage. 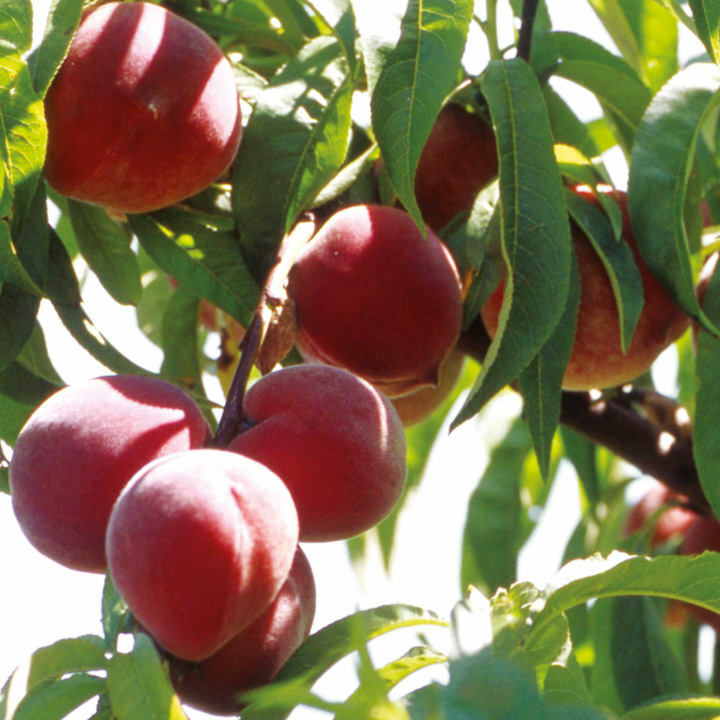 The biggest advance in peach breeding for many years! 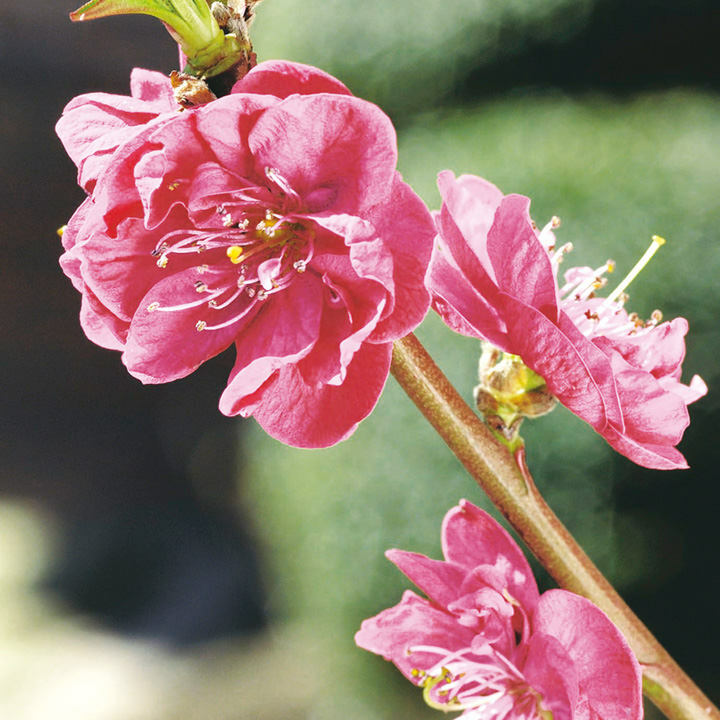 For planting and growing advice read our general guide to fruit trees.